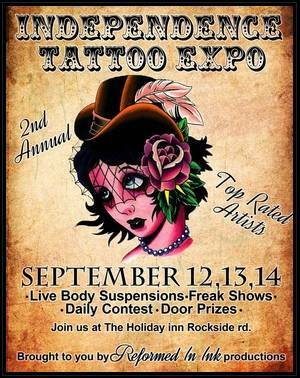 This event includes three days of tattooing, daily contests, music, seminars, a pin-up contest and daily sideshows and body suspensions. Our show last year had over 2000 attendees. This year's event promises to be bigger and better with more artists, seminars and entertainmen.